He was a professional player and coach for seven years in europe with time spent in finland, sweden and england. Paul Tilley is the founder of Top Gun Hockey. 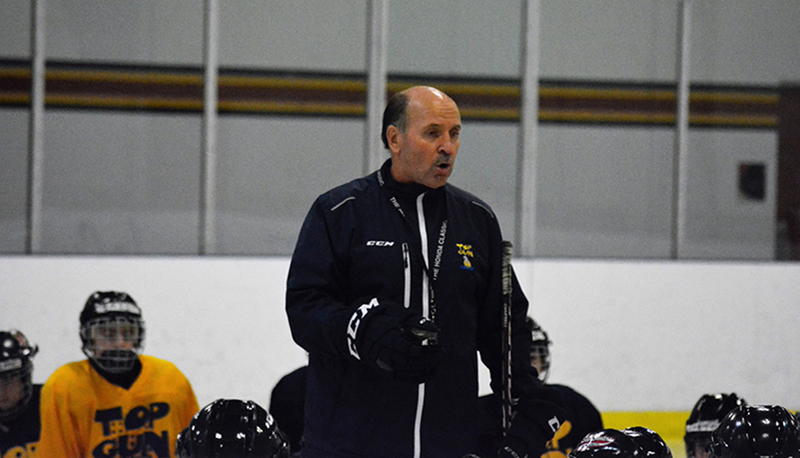 Paul has over 30 years of experience directing and operating hockey schools in North America. Paul was born and raised in Peterborough Ontario and played his youth hockey there until he left for a College Hockey Career. In 2014, Paul’s jersey, hockey sticks, and pucks from his career at Ohio State were on exhibit in the Hockey Hall of Fame in Toronto, Ontario. Paul was also inducted into the Ohio State Athletics Hall of Fame in the fall of 2015. Director of CAN/AM hockey school, Head Instructor at Miami of Ohio hockey school 1980-88. Played and coached professional hockey in Europe for 7 years. Attended Ohio State University on a Hockey Scholarship 1976-80. Attended final camp for team Canada 1980 Olympics. Paul is known for his dedicated and disciplined approach to his teaching methods. Paul is very passionate about the game of hockey and puts his heart and soul into teaching these young players the game he loves. Paul and his wife lyn have one son: taylor. Content© 2000-2018. All rights reserved.